This certificate is valid for a $30 certificate to be used at The Mustard Seed Garden Center. Tax not included. Face value of certificate must be used at time of visit. No cash value. 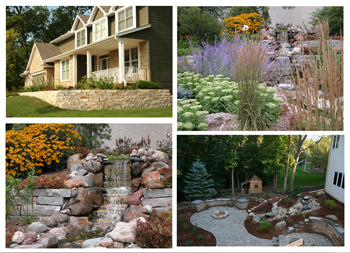 The Mustard Seed Landscaping and Garden Center in Chaska, MN, is open 7 days a week in season. Our Garden Center carries a wide array of Trees, Shrubs, Evergreens, Annuals, Perennials, Koi Fish, Aquatic Plants, Christmas Trees, Wreaths & Roping as well as Unique Gifts, all awaiting your personal selection. Children of all ages will enjoy our large play area and petting zoo miniature donkeys, chickens, an observation bee hive and Real Live Reindeer during Christmas! You will enjoy perusing our greenhouses and over 12 acres of exceptionally high quality plant material! Rooted in integrity and founded on faith, The Mustard Seed combines ideas, products and services, expertly crafted, into unique landscapes that grow and enhance your lifestyle and property! Regardless of the size of your project, our design, installation and maintenance departments are willing and able to serve your needs. From delivery to installation, we are the source for all of your landscaping needs and products. Our Professional Landscape Designers and Landscape Architect have the experience and education to create that outdoor living space you've always dreamed of, tailor-made to reflect your personality and lifestyle. We take pride in our work, forever focused on providing excellence for our customers. From the initial contact through installation and long-term maintenance, our goal is to exceed your expectations! We will work hard to achieve all of your yard & garden needs, providing creative and effective solutions that will add value to your property. We can make it happen for you! Please call today at 952.445.6555.